This Success Habits Workbook is an excellent new resource, designed with you in mind. 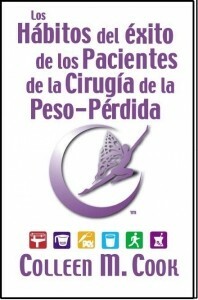 This workbook has been organized to help you through the various phases of your weight-loss. Using the key Success Habits Principles, this workbook includes challenges, journal questions, exercise, and food logs. Also included is a customized weight-loss progress chart and restaurant. 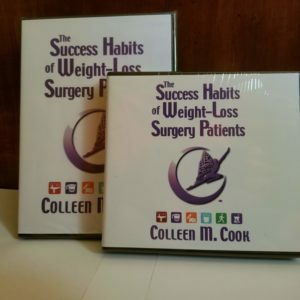 The Success Habit principles and the programs Colleen uses to teach them are helping patients ensure their long-term success following weight-loss surgery. She has educated and motivated both my patients and my support group leaders. 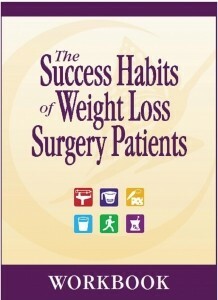 In addition to BSCI’s specific guidelines and support (e.g., via webinars, speakers) the Success Habits of Weight Loss Surgery Patients book is a very valuable resource for individuals struggling to get back on track after experiencing weight regain. I am grateful for my surgeons skilled hands but will be forever indebted to the wonderful insight of this book. 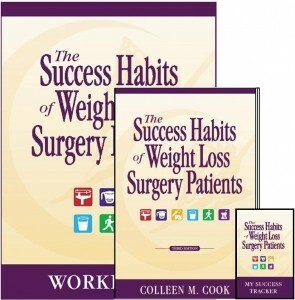 This book is a must have for anyone who has had weight loss surgery, is planning on having it, or is even considering it. You will read it again and again…I have. 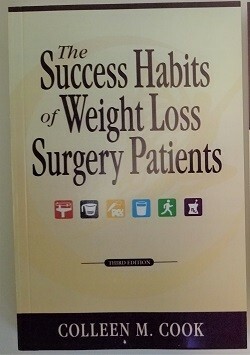 As a Bariatric Surgeon I have been very focused on getting my surgery right. Since embracing the philosophies in “Success Habits” and making them an integral part of our post operative program I really feel that we have got our aftercare right too. Custom Wordpress Website by BeTheHeroStudios.com.